Indian occupation of Jammu and Kashmir since 1947 has brought immense sufferings to the people especially to the Muslims of Kashmir. Ironically this is not hidden from the international community, yet the world largely remains indifferent to the plight of Kashmiris when it comes to practically implementing the resolutions and deliberations reached at the international forums. Kashmiris on their part refuse to give up their right to freedom and protest against the illegal occupation by India since 27thOctober 1947. It was on this unfortunate day when Indian troops landed in Jammu and Kashmir and claimed its entitlement to the region in complete violation of the partition plan. The very same day is rightly remembered by the Kashmiris as Black Day every year, where they refuse to be subjugated under Indian illegal occupation. This oppression is a sheer abuse and disregard of 1947 Indian Independence Act and Partition Plan, which categorically stands for Indian British Colony to be divided into two sovereign states wherein the Muslim majority states would have the right to join Pakistan and Hindu majority areas could join India, if they so wanted. However, not only was this blatantly disregarded by India, it also sent its troops and invaded Kashmir. Unfortunately, at that time this forcible occupation was aided by Cyril Radcliff, who is very much to be blamed for his support to India in this brutal venture. It was especially ruthless because soon after the occupation, India began with the mass massacre of the Muslim Kashmiri population with the main objective of transforming the demographic landscape. Radcliff was instrumental in providing India an access route to the valley of Jammu and Kashmir by handing over the Muslim majority area of Gurdaspur to India. Being the head of the Boundary Commission, his bias against the people of Kashmir especially the Muslims and his preference toward India is evident from his flawed demarcation policies at the time of partition of the Indian Subcontinent. Despite the most brutal killings by Indian forces, the people of Kashmir have not given up and are struggling against the Indian oppression. India had to approach the UN Security Council which resulted in the passing of two resolutions; demarcations of ceasefire line and demilitarization of the state with free and fair plebiscite to be held, administered by the UN. However, despite the fact that both Pakistan and India agreed to these resolutions to resolve the issue of Kashmir, India continues to disregard the agreed upon resolutions and has not demilitarized the occupied territory, nor is it allowing the plebiscite to held, only unless the demographics are essentially turned in its favour through mass killings of Muslims and eventually making it into a Hindu majority state. 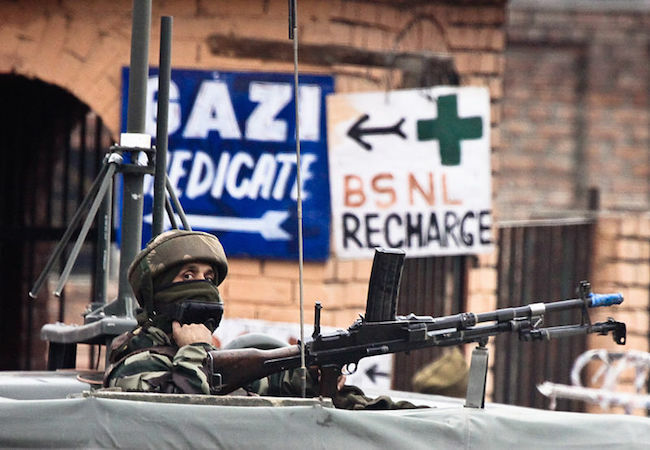 Making the situation even worse, the Indian forces face little or no prosecution for their barbaric acts under the brutal law of the Armed Forces Special Powers Acts (AFSPA), which gives legal protection to the Indian troops. Today it has been 70 years that the people of Jammu and Kashmir are fighting off the Indian tyranny and state sponsored terrorism while the western world is quite at large. Only recently in June, the UN human rights report for the first confirmed Indian atrocities in Kashmir. The United Nation’s Office of the High Commission for Human Rights (OHCHR) issued its first-ever report on the situation in Kashmir on June 14. The report highlights the protests after the killing of Burhan Wani in 2016 and the brutal use of pellet guns against protesters among the human rights violations in Indian-held Kashmir. While this indeed brings some hope to the Kashmiris, a lot more is to be done for the just cause of Kashmiri freedom from the strangle hold of Indian brutality. Pakistan on its part has stood firm with its Kashmiri brethren and have been highlighting their plight at every international forum. Unless the human plight is felt across the globe, the inhumane and treacherous Indian rule will not be condemned and the sufferings of people of Kashmir will not be over. The International champions of human rights need to leave their policy of discrimination under the western influence and serve the real purpose of their existence, otherwise 27thOctober would have to be marked as the Black Day for whole Humanity and not just for the Kashmiris.